With thanks to Natalie Thackray, Roger Davy, Tony Ingham and Roy Simmons. 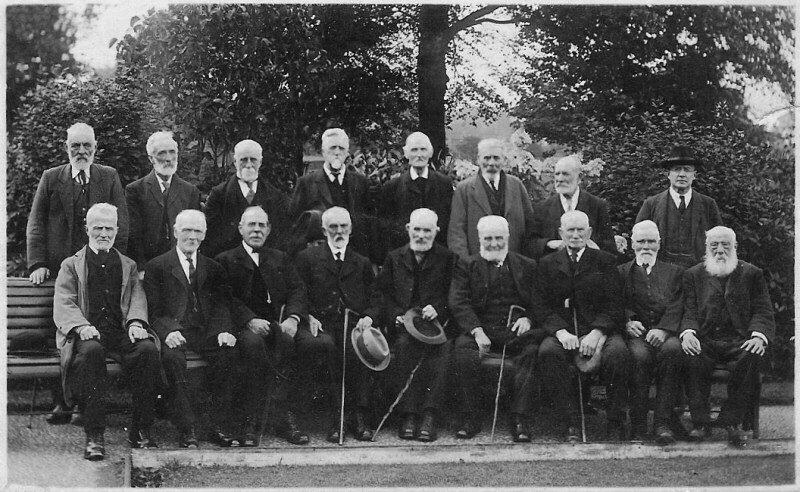 "The gentleman seated on the end on the right is my great, great, great grandfather Christopher (Kit) Pullan. Not sure when the photo was taken but he died in 1926 aged 87. I believe the photo is taken in Sutton Park. His youngest son Edgar Pullan is listed on the memorial in Sutton Park as one of the fallen in the First World War. I would love to know if anyone has any more information about the photo." "My reason for getting in touch is to say that I'm sorry that I�m going to disappoint Natalie about the photo of the old chaps in Sutton Park because the gentleman she names as her great-great-great grandfather is actually my great-great grandfather William Hargreaves from Wood Top. But, Natalie's relation is on the photo. 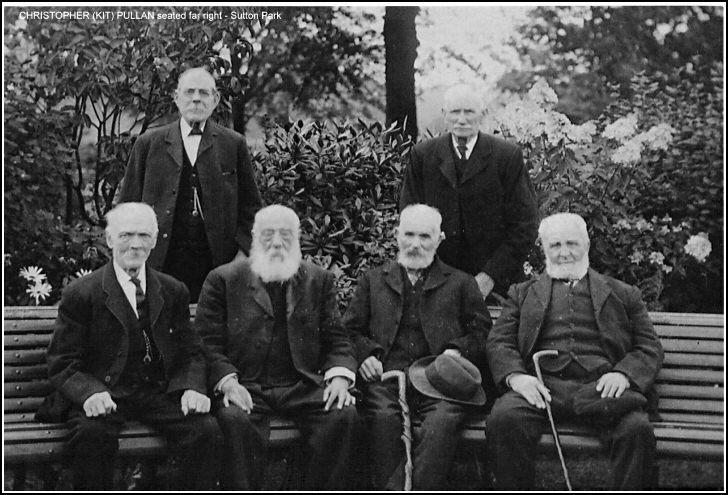 I have a postcard photo presumably taken on the same day but with a total of twelve elderly Sutton gentlemen on it, instead of the six on Natalie's photo. From my deduction, I believe on Natalie�s photo, Kit Pullen is the gentleman standing on the right at the back." 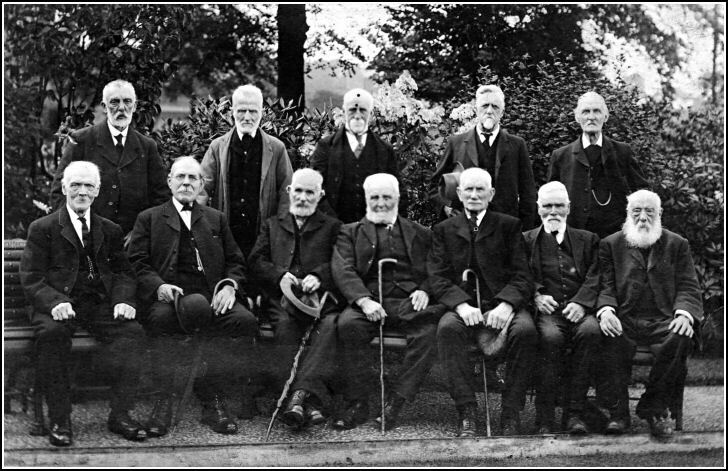 Seated second right front row is James Beecroft, the local lamp lighter. He lived in Kings Court.